Most concerns about pregnancy and flying are unfounded. Flying as such is not harmful for pregnant women or their unborn babies. As long as your pregnancy is without complications there is no reason why you cannot fly safely well into your pregnancy. Flying during pregnancy though slightly increases the risk of developing some health related issues. The risk is still very low and most pregnant women fly safely without encountering any problems. You should however be aware of the possible risk involved and which precautions you can take to minimize the risk of flying when pregnant. Are you concerned if flying when pregnant is safe? Do you want to find out when is the best time for flying during pregnancy? Our Flying During Pregnancy travel tips cover these and more pregnant women flying tips. You should always consult with your doctor prior to making any travel arrangements. Never go anywhere unless your doctor authorizes it. This is especially important if you have had any complications during this or previous pregnancies. It does not matter where you are going. Find out in advance about which healthcare facilities are available at your destination, just in case you would require urgent medical attention. Don't forget to take copy of your medical records with you so you can give doctors the relevant information if needed. Make sure your travel insurance policy provides you with adequate cover for any eventuality, including pregnancy related medical care during labor, your baby medical care and the cost of changing the date of your return trip if you go into early labor. Not all travel insurance providers offer travel insurance that cover pregnancy, so make sure you read the policy details before you buy one. Search for the word “pregnancy” within the detailed policy cover description. Vaccinations are not recommended during pregnancy due to concern that the virus or bacteria in the jab could harm the baby in the womb. You are therefore advised from travelling to countries where vaccinations are required. 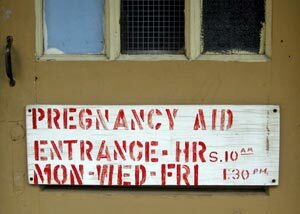 The same applies to malaria infested areas as anti malaria tablets are not considered safe for pregnant women. If you really must travel to an area that requires vaccination then you should get vaccinated. The risk of catching an infectious disease far outweighs the possible risk from the vaccination. 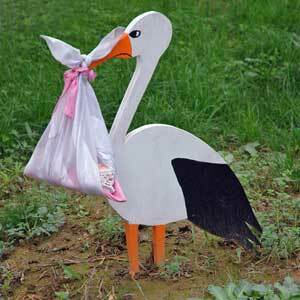 Morning sickness is not dangerous for you and your child unless it is extremely excessive (in which case it is highly unlikely that you would be even contemplating flying). However, if you suffer from nausea or travel sickness you should take few precautions in advance. Book an aisle seat near the middle of the plane, over the wing area (effects from air turbulence is less felt in this part of the plane), and bring enough snacks that will help you to keep your nausea at bay, e.g. fruit or whatever works for you to keep the nausea at bay. Acupressure wristbands are great option for all travelers that suffer from motion sickness. It is especially great for pregnant women as it is drug and chemical free option and therefore causes no harm to your unborn baby. Air travel, especially busy long haul flights, can be tiring experience even if you are not pregnant. There are number of air travel products available that can make your flight more comfortable, we have chosen our Top 10 In-Flight Comfort Products for your convenience. Most of them are highly suitable for other travels as well, for example for car, bus, or train journeys. Some of those products might be of special interests to pregnant women, like the Bioband that can help keeping your motion sickness at bay during the early stages of your pregnancy. Both pregnancy and flying can slightly increase the change of getting DVT. Pregnant women should therefore take some precautions to minimize the risk of developing DVT. Staying hydrated, moving about during the flight and wearing special flight socks all help to minimize the risk. You can buy Women Flight Socks and other DVT prevention products online at Amazon. Ps. Choosing The Right Airline Seat can make big difference to your comfort during pregnancy and flying.